Woollyhugs > Latest.. > Auction > Spring Auction 2019 > Spring Auction. Number 95. Magic Bunny! 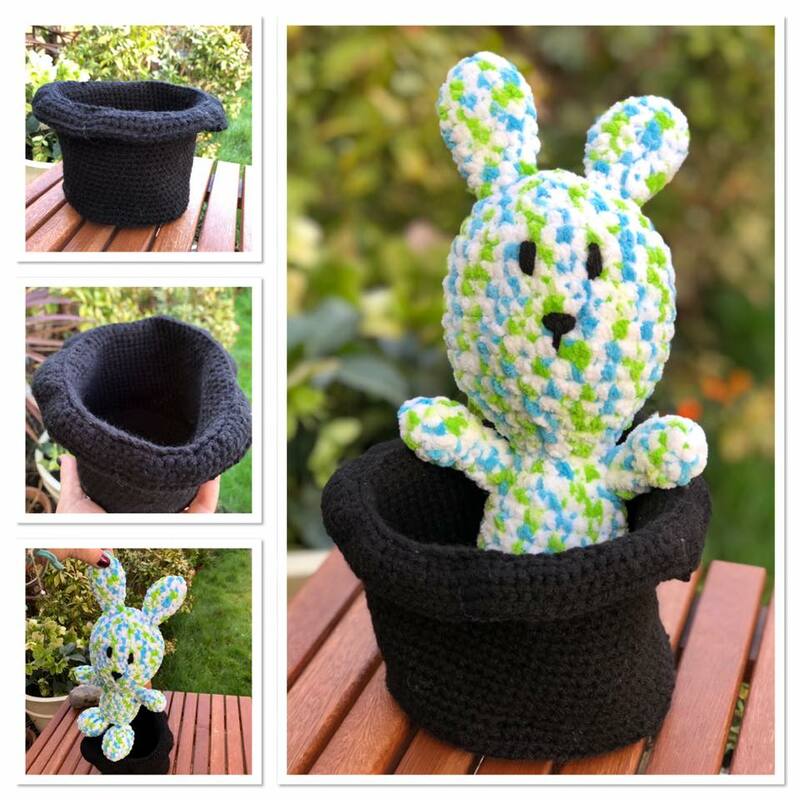 This adorable bunny in a top hat is beyond cute and is beautifully crocheted in a super soft yarn. The bunny is approx 30cm tall. Just love it. 95. Ta Da! What’s in this top hat? You think nothing? Well, ta da! item name : Spring Auction. Number 95. Magic Bunny!